In 2017, The Bridgespan Group and The Rockefeller Foundation surveyed the leaders of 145 nonprofit organizations. Nearly 80 percent reported that their organizations aspire to innovate. And the majority reported that innovation is critical for their organizations. Unfortunately, less than half of respondents feel their organizations have the capacity to innovate. This guide can help. 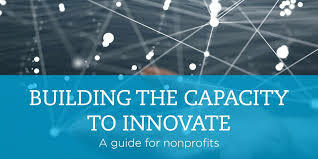 It has been created to help organizations build their capacity for innovation and includes tools to do so: an overarching framework, learning modules for different parts of the framework, exercises and a worksheet for setting plans and priorities, and more.